WALTHAM, MA – February 2, 2016 eCommerce now accounts for as much as 10 percent of all retail sales, but merchants are putting as much as 42 percent of their online sales at risk by making it too hard for consumers to complete the checkout process. In an effort to help retailers capitalize on the burgeoning eCommerce opportunity, BlueSnap, a leading provider of global, mobile checkout solutions, is launching The Checkout Conversion Calculator to help retailers identify the points of friction that create a loss of sales. 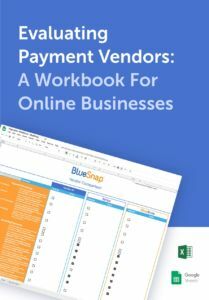 BlueSnap’s Powered Buy Platform helps merchants solve their checkout conversion problems that the Checkout Conversion Calculator identifies.